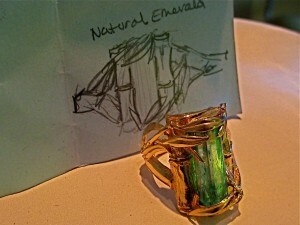 One of a kind Jewelry can be conceived with the input and preferences of a client, like this 7.3 ct. Natural Emerald set in a 14K Gold Bamboo Ring, the drawing and details were discussed with a client and then the original wax was carved by hand. 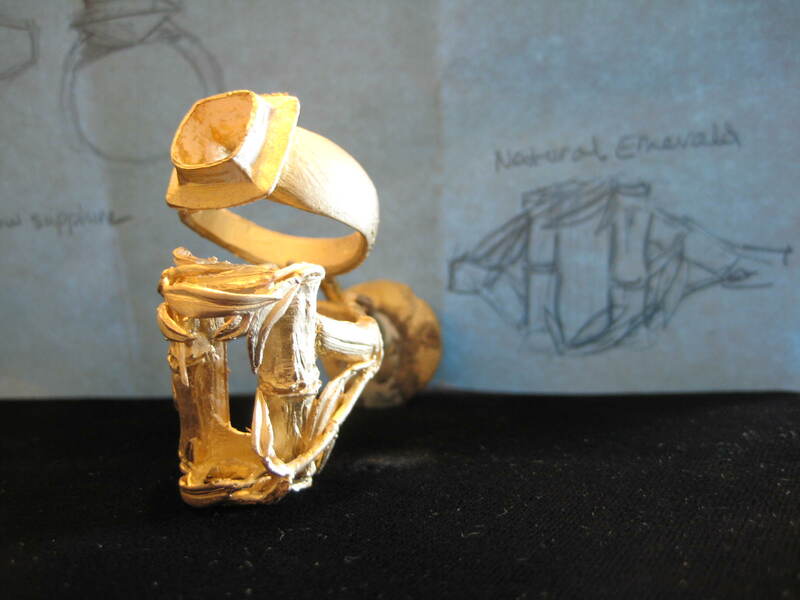 The raw casting was carefully cut, filed and the gemstone’s fit is checked, then it is polished and everything is assembled and finished. Kirk Milette selects a unique variety of natural gems from exotic places each year. Much of his collection is an accumulation of pieces only rarely seen or items may never to be found again. 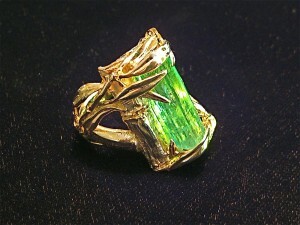 Locating unusual Gemstones and Pearls is only the start of a story, to complete the journey the challenge is making settings that set these pieces. Often this process fallows a vision and here we ended up with a very special ‘non-conventual’ design. 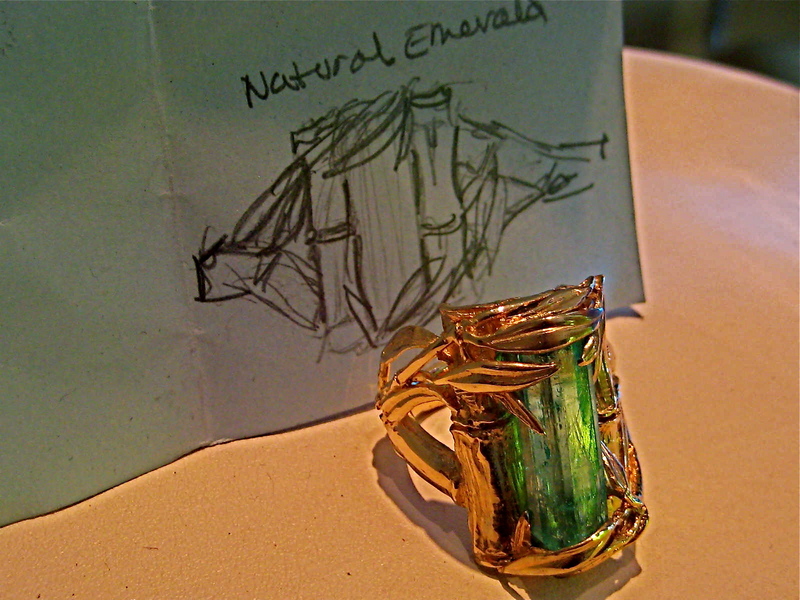 Value is always important pieces like this Custom Natural Emerald Crystal set in a Bamboo 14K Gold Ring, made a few years ago may be irreplaceable now, or if we tried to replace it, it would cost appreciatively more today.